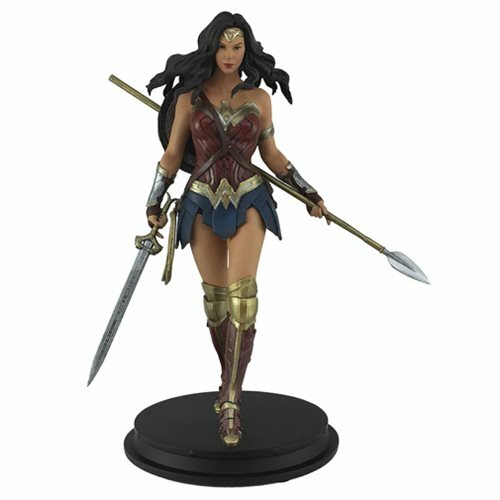 Based off the Wonder Woman movie comes this collectable statue! This Previews Exclusive Wonder Woman Statue features an incredible likeness of actress Gal Gadot and measures approximately 8-inches tall. This hand painted bust is individually numbered and includes a certificate of authenticity. Ages 15 and up.